Kale, spinach and green tea are some of my favorite superfoods. 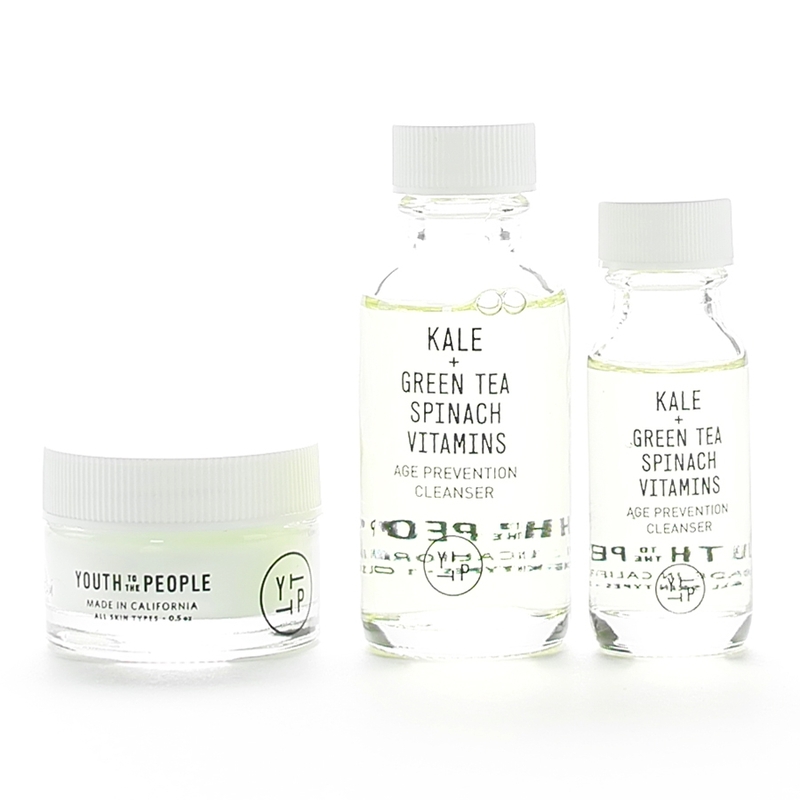 Of course, I'd wanna try this Fresh Pressed Superfood Skin Kit by Youth To The People. You can't go wrong applying veggies to your skin - right? The kit includes a small bottle of cleanser and a pot of facial cream. I had high hopes, but these superfood-enriched products were kinda disappointing. The scent (especially the cleanser) is super strong, kinda 'hotel-soap-like', and it lingered. The Age Prevention Superfood Cleanser claims to have non-stripping suds - the suds are a little overwhelming (there's a lot). The cleanser also left my skin feeling dry. I expected more from this superfood-enriched product, and unfortunately, I purchased the full-size prior to trying it (pictured here). The Age Prevention Superfood Cream has a nice texture, but the scent bothered me. The moisturizing effect of the cream is not enough to combat the dryness from the cleanser. I gave both these products to someone less sensitive to scents. Facial cleanser should be shower-friendly. This cleanser comes in a glass bottle and is an accident waiting to happen. I drop stuff all the time! This alone would deter me from re-purchasing the cleanser. Superfood-enriched facial products is a great concept, but the execution here didn't meet my expectations.